A few months ago I discovered an online resource for Early Years, KS1, KS2, and SEN teachers, classes and home educators called Twinkl. I emailed them to find out about a rate for Home Educators, and eventually got the full membership, so that I can give it a try. While we tend to plan our PlayLearning themes well in advance, I don’t always have time in the run of daily life to actually prepare all the resources in advance. 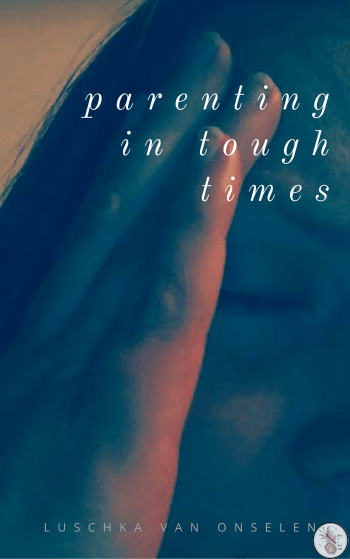 At those times, it’s wonderful to be able to quickly head over, type in our theme, print out a few pages – be they colouring pages or activity sheets – and give those to Ameli to keep her busy while I put together other things, like craft projects, or experiments to go with our themes. Last week we were looking after two friends who are moving to Australia soon. I printed out Australian and UK flags, and cut them out. The children coloured one of each flag and while they did so, we spoke about our friends moving away and what that means. We then made those into bunting to show we’d always be connected, even though we’re in different places. Of course I could have printed these from other places, but I didn’t have to search, sort or think about it too much, they were there and ready. We took an ambulances word sheet from the role play section, and cut them out and used them for a treasure hunt, before using the same pieces to trace the letters and try to read the words. Again for the fire services week, I found a ‘game’ where you can mix and match the fronts and backs of emergency service vehicles. I printed these off (I printed them 4 to a page, if I recall, so that they were smaller), then cut them and laminated them. Again, I could have searched for a variety of vehicles, edited them all to the same size, spent time looking for similar styles – but with just a few clicks we were on our way, and Aviya still plays with them, weeks later. This is so useful for reinforcing learning – in this case of the 999 number for my two year old. There was also an interactive PowerPoint with videos of emergency vehicles that I didn’t have to search through YouTube to find – it’s ready and fit for purpose. We recently went to a birthday party for a four year old. I had a very small budget, and didn’t want to buy a toy, as such so instead I bought a box file, magnifying glass, basket, stick of glue, a note pad and pen on a lanyard. 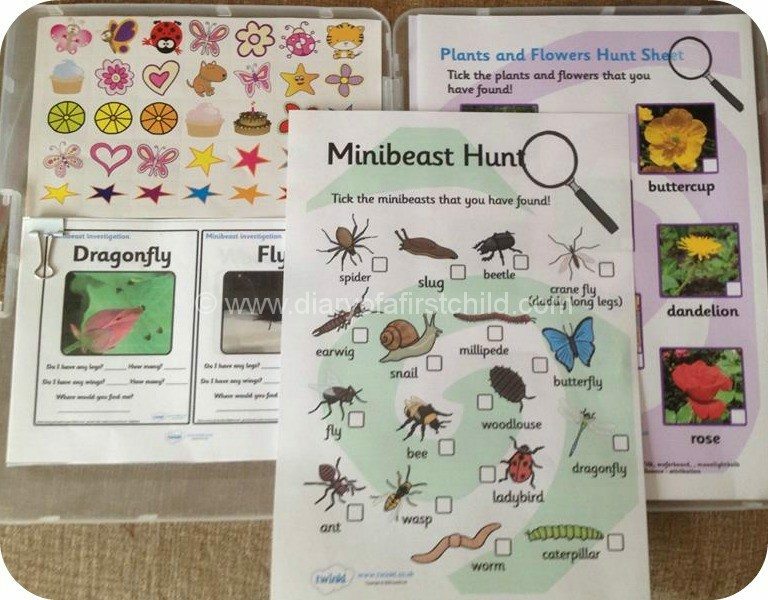 Inside the box, I placed a few printed worksheets for mini beast hunting, a spring hunt checklist and so on. 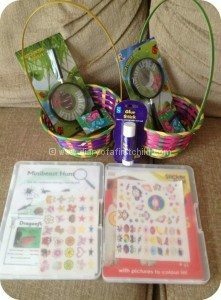 If I was doing them for an older child there would have been more difficult activity sheets or experiments in the box, but I thought a nature explorer slash bug hunter would be great for a four year old. I know mine would have loved it! Again, of course I could have spent time searching for something good online, but the whole gift took me half an hour to assemble (once I’d bought a few bits) and I was very happy with the price, and the end result. Tomorrow we will be spending some time on Roald Dahl’s Charlie and the Chocolate Factory. I can spend my evening on Pinterest looking for ideas, for sure… or I can pop over to Twinkl and download the massive resource they have available, and cherry pick what we want. If I have more time, and more ideas, I can go to Pinterest. But if I need something quick, easy, accessible and quality, I know where to go. If the resource isn’t there, you can request it – it won’t be immediate, but if you plan ahead, you can make that work for you too. I know the argument some people use against paying for a subscription service with a resource like Twinkl – mostly because as educated, computer literate people, we can all design our own stuff, or even better, use the many, many free resources around the internet including some on Twinkl. 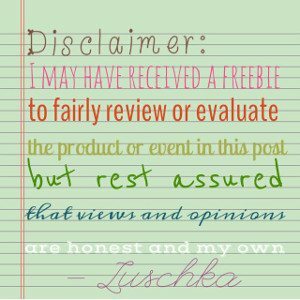 I also love how, if I do want to create my own resources, I can do so using their templates, and I can share and save it to the site, for which you get points too, and enough points can win you ‘freebies’ and prizes too. If you’re in a position to be able to do that, great stuff, but for me as a working and home educating mama, I love the ease of Twinkl, how it takes the pressure off me on the small, standard stuff, so I have more energy and time to spend on the fun stuff. P.S. If you sign up using my links, I’ll get a free month on Twinkl and my girls and I will be super duper grateful!